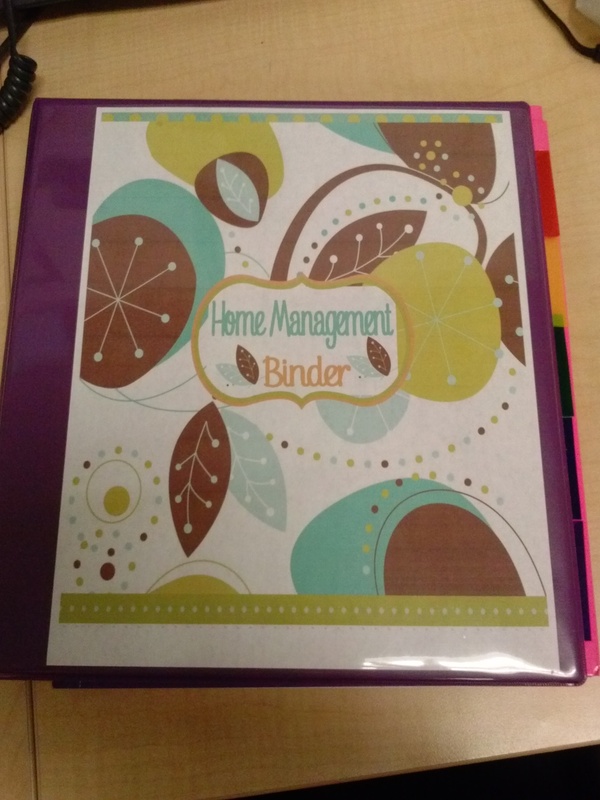 I’ve watched a TON of videos regarding a home management binder, a home brain, kitchen bible, you name it! I decided finally that I would try it. Who knows if it will work, but it’s worth a shot. I’ve printed a lot online and just Googled “free printable xxxxx” and whatever I was looking for in place of the xxxxx. I have a 1″ binder with sheet protectors, 5 tabs, and 2 folders. I have the following inside my binder. Auto/Vehicle history – so I can keep track of when I put new tires on, maintenance, oil changes, warranty info etc. Financial Section – I wrote down my budget for everything! I use this in conjunction with MINT an app on my phone that maintains my budget. In Case of Emergency Sheet – I put all emergency info such as police, fire, hospital name, poison control etc. Seed Schedule – When I start my seeds for my herbs and veggies I can log them with a start date, sprout date, etc to help me keep track. Recipe Section – My favorite household staples like detergent, bread, butter etc. The inside pouch on the inside cover I labeled “Take Care of Me First” with a sharpie. I put all upcoming bills here. I’m going to try this for a few months, add things, take out things, and really make this my own. I also have a $1 planner I got from the Dollar Store to keep in my purse and I have Cozi on my phone linked to my son’s phone to stay on track of our calendar. Review to come shortly…..gimme a few months!